Dinner & A Movie? 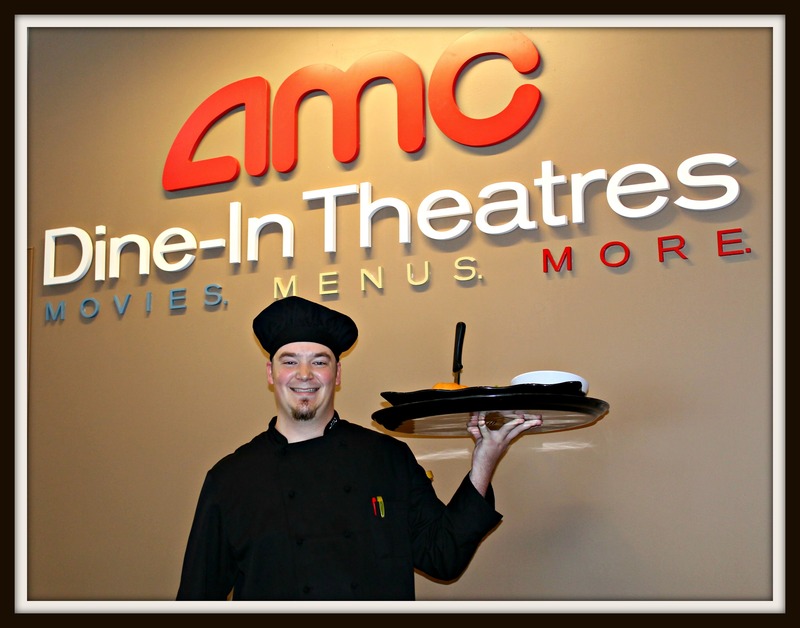 Enjoy Both at AMC Painters Crossing 9 Dine In Theater! Disclosure: I attended a preview of the new AMC Painters Crossing Dine In Theater. I received two movie passes for attending as well as a sampling of the menu. NO monetary compensation was received. All opinions are my own. My husband and I are big movie fans. We have always enjoyed heading to a movie or watching one at home. Unfortunately with hectic and conflicting schedules, finding the time and a sitter to help us enjoy DINNER AND A MOVIE is nearly impossible these days. That is – until this new little gem popped up in our area! 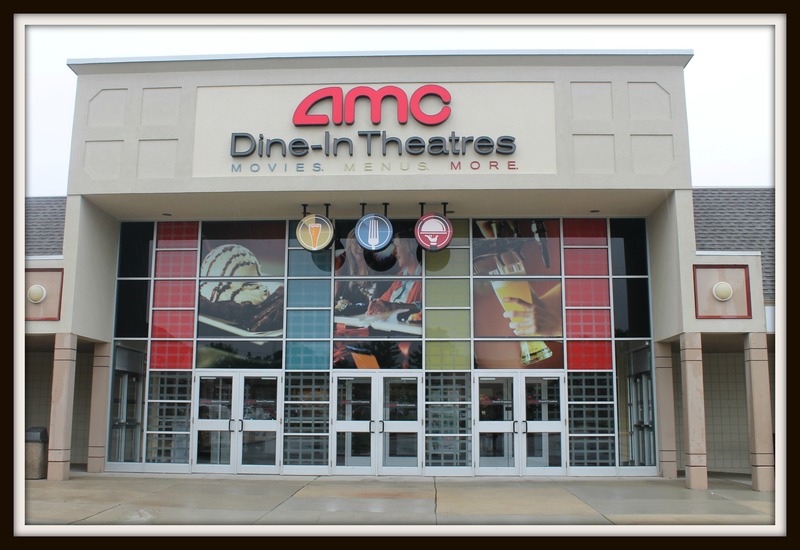 Introducing – AMC Painters Crossing 9 in West Chester – all new, revamped and now a DINE IN movie theater! Let’s just say that the dinner and a movie experience has just soared to a whole new level! 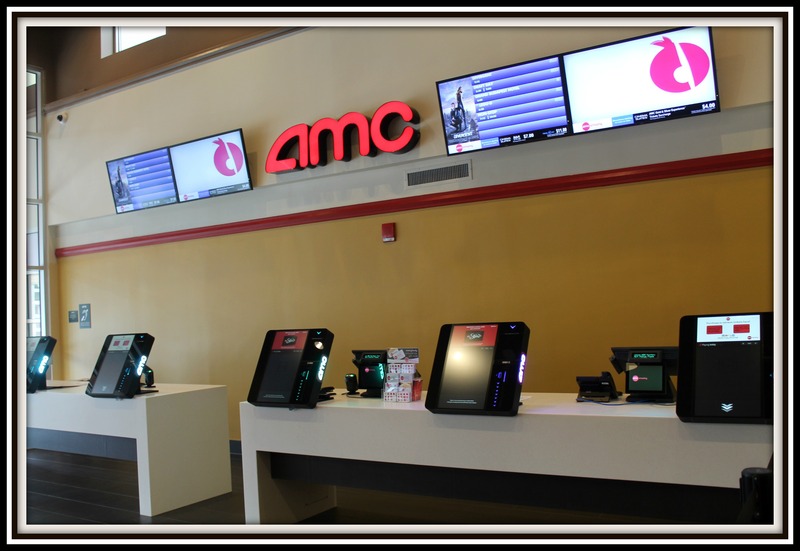 Unlike other theaters, when you walk in, you will not see the typical box office; instead you will be greeting by high tech ticket screens and cashiers on hand to assist you. It makes you feel like you are jumping into a whole new era! Tickets typically run $10 – $12.50 for evening shows and around $5.25 for children and $7.50 for adults at the matinees. Personally, I was even more thrilled to hear that not only can you purchase your tickets online prior to heading to the theater, but you even get to choose your seats when doing so. Since the theater is likely to be a big draw in this area, I would highly suggest purchasing tickets in advance. Popular movies are likely to fill up quickly – so save yourself any disappointment by reserving those seats as early as possible. 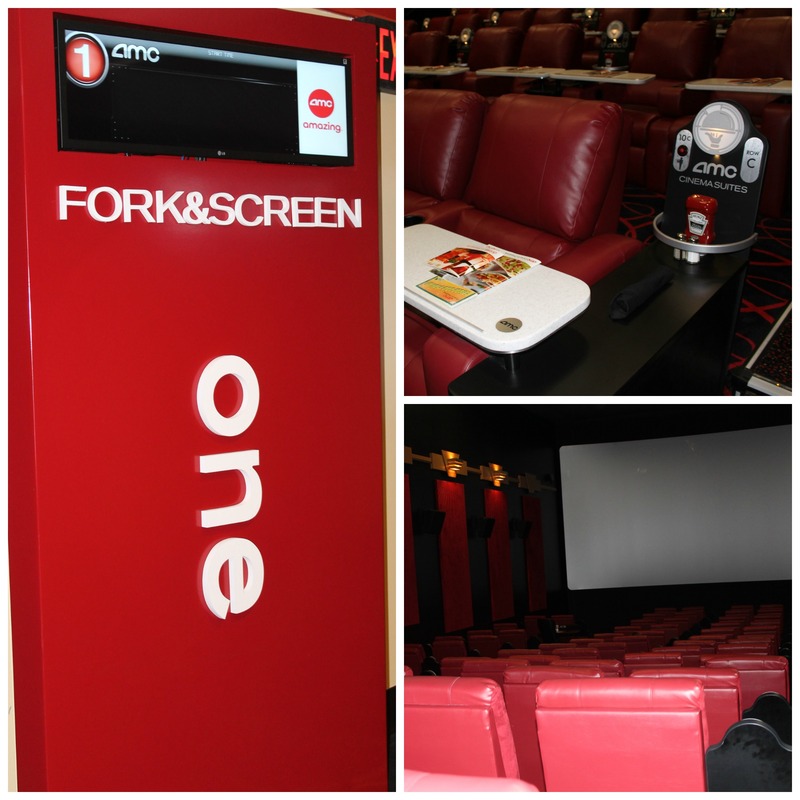 In both theaters, you will find discreet service from the wait staff, who will be at your service at the push of a button located right at your seat. It may be a good idea to arrive at the theater approximately 15 minutes before the previews start to allow for ample lighting to read the menu and make your food and drink selections. The made from scratch menu is quite impressive. 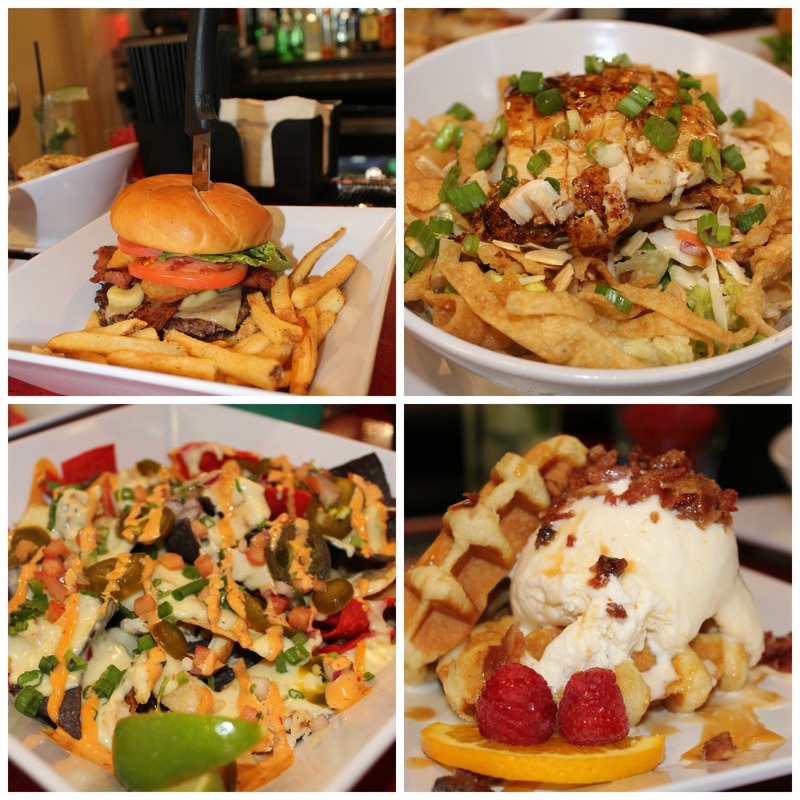 On it you will find everything from gourmet burgers (so ample that they are served with a steak knife) to tacos, nachos, pizzettas, salads, bistro mac and cheese and so much more. During my preview, I had the chance to meet the head chef and sample quite a few menu items. EVERYTHING that I sampled was incredible! When it comes to dessert, I cannot recommend the waffle sundae with candied bacon enough – I seriously believe it should be called “Heaven on a Plate”. If you are a fan of bacon, you will definitely be impressed by the number of menu items containing bacon – my favorite being the BLT pizzetta! And for those of you with food allergies or sensitivities, the chef mentioned that they are very understanding and will be accommodating with special requests. All in all, this movie theater is a dream. Now instead of wondering if you can actually spend time together before or after the movie without having to head to another location, you can easily grab a drink at the bar or a latte or cup of Seattle’s Best coffee and an appetizer or dessert and hang out in the lounge area (which they are hoping to add some small tables and seating soon). It’s a great place to chat about the movie and enjoy some relaxing time before heading home. I was so impressed with my preview that I surprised my husband with tickets to opening night. I cried all the way through We watched The Fault in Our Stars. We enjoyed dinner – mine being the tenderloin tips dinner which was delicious, and my husband, of course, ordered the bacon cheeseburger (purely for the fact that the steak knife made it over-the-top appealing to him). We shared the waffle sundae aka “Heaven on a Plate”. Not surprisingly, my husband devoured the dessert. We were extremely impressed with the wait staff and we never saw a waiter or waitress walking past or near us except our own. She was discreet and careful not to disturb the overall movie experience. The staff was consistently accommodating and really did a superb job. The theater is located at 112 Wilmington Pike in West Chester, just off of Routes 1 and 202. Do yourself a favor this summer and treat yourself (and your family, friends or significant other) to a really awesome day or night out. It is definitely a fun and unique experience! Have you tried a dine in theater experience yet? What did you think? This is awesome and I’m totally going there! I have yet to visit one of these types of theaters, but I really would love to! What a great concept! I can not wait to try this place. It looks amazing! oh man, i didn’t know they made this into one of these, that’s great to have one close by. based on your photos, the food looks delicious, and i can totally see needing to make reservations. did they add to the parking in the area at all? Yes! Parking is available just outside the theater and is FREE! I love that some theaters have extra leg room. I am tall and always feel like I am sitting on an airplane at the movie theater!